I am obsessed with all things Miu Miu right now. The entire line is perfection! It's playful, fashion-forward and incredibly chic. Here are some of my favourites for Fall/Winter. 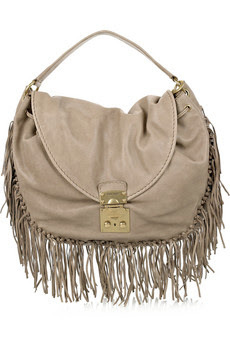 This leather hobo bag is fabulous! So cool! It's an amazing statement piece. 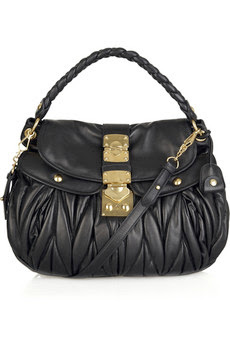 This Matelasse leather bag is fantastic! I want it SO bad. I love that it has a longer shoulder strap and a shorter handle. The braided detailing and gold hardware is great. Love it! It also comes in a cream colour but I really wish they made it in a chestnut brown. 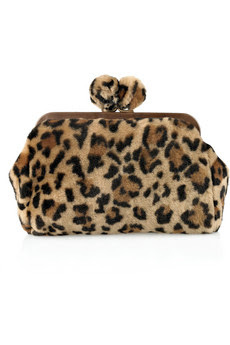 How perfect is this leopard-print shearling bag?!?! This clutch would transform any outfit into instant chic. These suede strappy platform sandals are fierce! 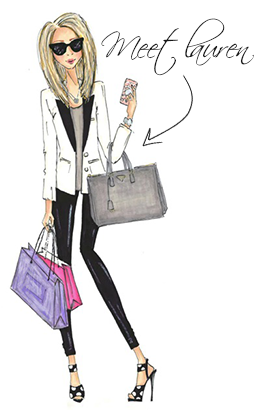 The pale pink is so flattering and the platform/colour combined will instantly elongate your legs. 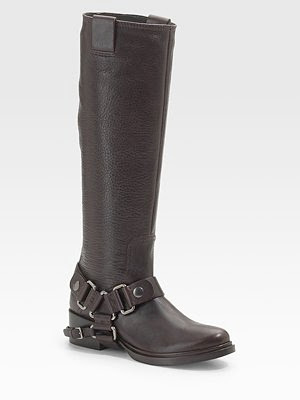 Aren't these the coolest motorcycle boots ever? Love them! These little black suede booties are HOT! 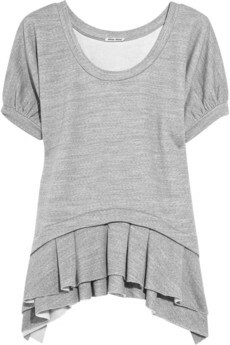 This frill sweatshirt is so cool. It's casual but the ruffle hem completely transforms it. What do you think? Are you as in love with all things Miu Miu as I am? love the Matelasse leather bag, chestnut brown would be so nice and the little black suede booties are hot, hot, hot! !